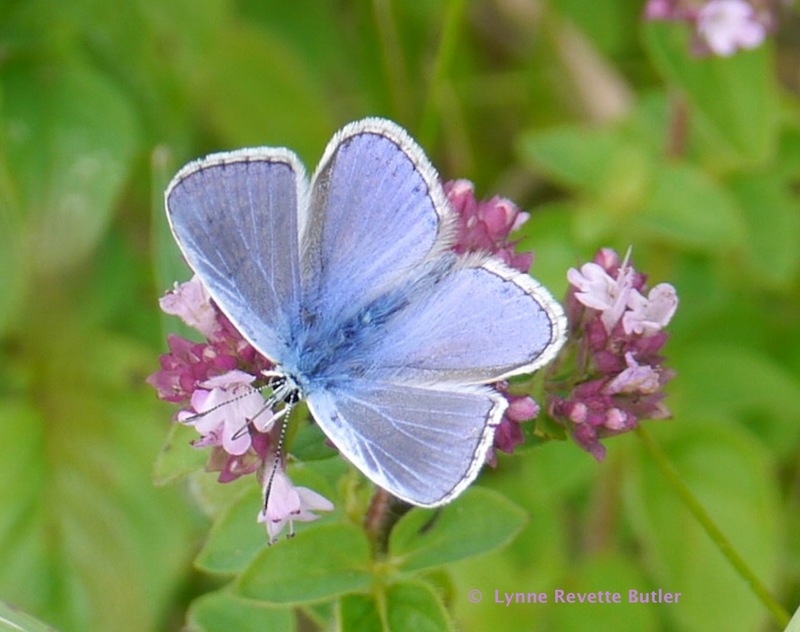 This entry was posted in Environment and tagged butterfly, common blue. Bookmark the permalink. Spectacular photo! I love the color! It’s the sort of colour that makes me think of little bridesmaids running around in satin frocks at a summer wedding. Thanks; I took 2 photos of the patterned underside of the wings but neither was in sharp focus so I left them out of the post. If I saw this butterfly in my garden, I would not think it was at all common! “Satin frocks at a wedding” is exactly right. Perhaps we should start a campaign to get it renamed! Lynne – I tell myself I must move on and read other blogs but your photographs are oh so spectacular — I always have to go for one more. I thought the blue butterfly was exclusive to the rain forest in the Amazon. Of course my education was taken from a movie entitled ‘The Blue Butterfly’ I believe. The cinema photography was perfection at its best. Thank you for your very kind comments about my photographs; this shot of the blue butterfly is one of my favourites. We have seen large numbers of butterflies this summer but I only saw the blue on that one day; this species is much smaller than the one featured in the film (which I have not seen) but I love its delicacy.